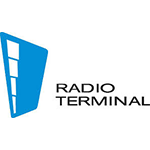 Radio Terminal is a Russian company that specializes in wireless data transfer hardware supply and distribution for more than 10 years. The company mainly distributes telecommunication, radiocommunication and satellite communication equipment, safety and security devices, OEM-modules and M2M solutions for industrial automation and monitoring with the Russian Federation being key target region. The chart below shows the changes within the last 30 days in the number units of Radio Terminal devices type are connected to Wialon Data Center.